This machine is designed for pipe end beveling of small diameter,pipe out mounted compact installation. It is used in pipe end bevelling process of professional equipments & on-site overhaul, e.g. Water cooled wall, overheater, reheater, fuel economizer, boiler & fire thermo electricity etc. 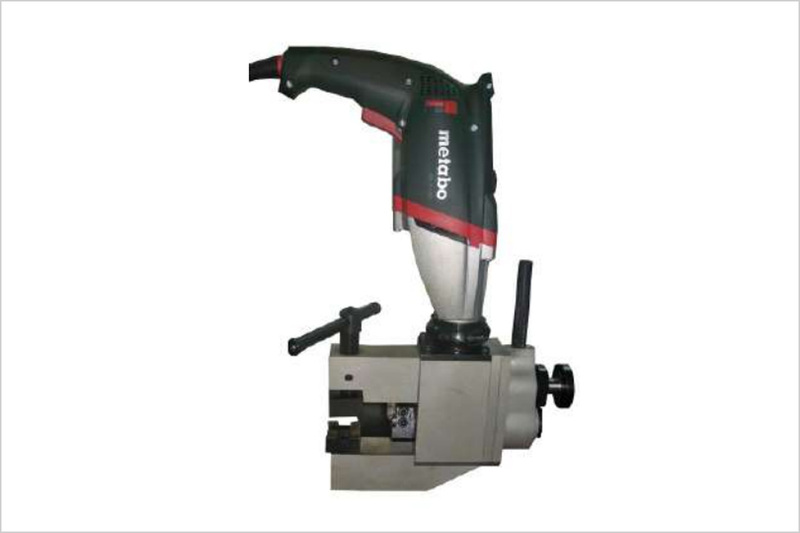 High Quality bevelling tool which can process different grades of carbon steels, alloyed steels, stainless steels & other materials of metal pipes. An outside caliper is fixed in proper position, simple and light, precise centering, steady mount and convenient operation.